Child support is money paid by the non-primary parent to the other primary parent to pay for the children’s expenses. A primary parent is a parent who lives with the child more than 50% of the time. Another term often used to describe the primary parent is the “custodial” parent. Other child support payments are all other child support expenses not based on the economic table including uninsured health care costs and day care are legally required (see RCW 26.19.080), while others – including extracurricular activities, private school, music lessons, etc. – are not required but may be included as child support obligations based primarily on both parent’s ability to pay. How is the Basic Child Support Obligation Transfer Payment Calculated? The number and age(s) of the children. Based on those factors, the total child support amount – defined as the amount required to pay for their monthly ordinary/necessary expenses including food, shelter, utilities and other basic needs – is then obtained from the Child Support Schedule’s Economic Table. The non-primary parent’s transfer payment – subject to exceptions (see below – “Deviations”) and adjusted for credits (if any) – is then calculated by multiplying his/her share of the combined net income by the total child support amount. Example: Dad and Mom each earn $5,000 net income per month. Their total combined net monthly income is $10,000. If they have two children ages 9 and 14, based on the above economic table, the total child support amount for the child age 9 is $1,021 and for child age 14 is $1,262. If the non-primary parent earns 50% of the combined net income, his/her basic child support transfer payment is $1,021/2 = $631) + $1,262/2 = $510.50), or $1,141.50. How Are Other Child Support Payments Calculated? Other child support payments such as uninsured health insurance costs, day care, and extracurricular activities are paid based on each parent’s share of the combined net income. Using the above example, dad and mom would each pay 50% of the uninsured health care costs. Unlike the child support transfer payment, both parents are responsible for these payments. 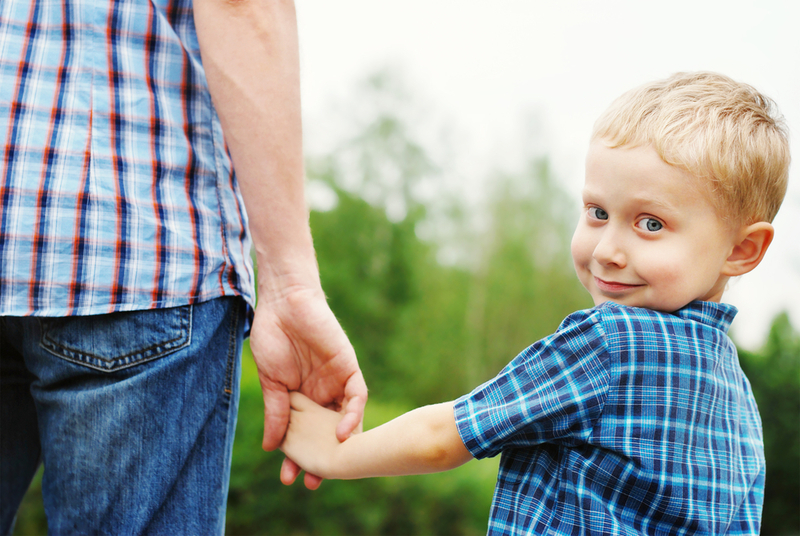 A parent’s status as the primary or custodial parent has no bearing. The following are the most common reasons for permitting the non-primary parent to decrease his or her monthly child support transfer payment. (see RCW 26.19.075). Significant Residential Time – The most common reason is if the child spends a significant amount of time with the non-primary parent. Aside from the desire to spend time with their children, a likely reduction, if not elimination, of the child support transfer payment obligation is why many parents ask for a #50/50 residential schedule. Although the general guideline is to require between 35%-40% minimally, there is no threshold amount of residential time beyond which a reduction is guaranteed. Despite commonly held beliefs, even having 50% residential time does not guarantee a reduction in child support. In fact, no deviation is allowed, even with 50% residential time, if it would leave insufficient funds in the household receiving support to meet the basic needs of the child. The law also requires evidence showing how the significant residential time results in increased expenses to the non-primary parent, and the decreased expenses, if any, to the party receiving support, though some courts require less stringent proof than others. Nonrecurring Income– Nonrecurring income is income such as overtime, commissions, bonuses, stock awards, or income from second jobs that is inconsistent. A typical example is when a parent earns bonuses that fluctuate from year to year or in alternate years. Rather than factor in the most current bonus which may skew income, the court may average the bonuses from the two previous calendar years and add it to the regular salary to determine current gross income. Children from Other Relationships – A second reason to reduce the standard child support calculation is if either or both parents have children from other relationships to whom the parent owes child support. All income and financial resources of the parties, new spouses or domestic partners, and other adults in the household are considered in determining the reduction in support. At Weintraub Law Office, we have substantial experience with and knowledge of child support laws and have a substantial record of success in child support related litigation. Please contact us for help on your child support case. Thanks for explaining what child support really is and how it is calculated. It is good to know that, although there is a standard equation, many deviations can occur. I can see why many people use lawyers to help them work through the process of determining child support issues. Thanks for the info! How is child support effective date set. Is it the date the petition is filed or does it go by something else. Great question. The start date depends largely on whether the payer, through direct payment to payee, or by payee’s access to post-separation account funds, contributed to child support after the petition for divorce is filed. If so, then child support will usually start when a child support court order is entered. Otherwise, the start date will typically be retroactive to the date of filing the petition.